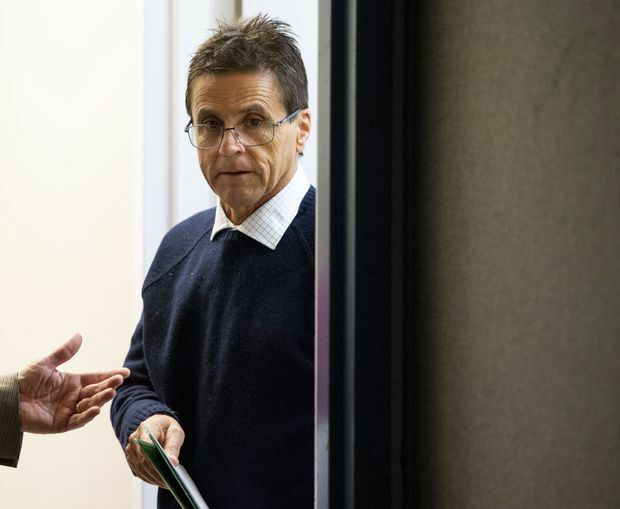 Hassan Diab arrives for a press conference on the French Court of Appeal's decision in his case on Parliament Hill in Ottawa on Oct. 26, 2018. France’s Court of Appeal has again delayed deciding whether to reverse a release order in the high-profile case of Hassan Diab, a Canadian professor who spent three years in pretrial detention in Paris before French judges dismissed terrorism charges against him. French prosecutors had appealed the dismissal of the charges, and after several delays over the summer, Mr. Diab had been expecting to hear on Friday whether the release order would be quashed and he would be recalled to France for another trial. The news came to the family’s Ottawa home in a phone call around 3:20 a.m. on Friday: The French judges had ordered another review of the handwriting analysis previously presented as evidence against Mr. Diab. Mr. Diab’s ordeal began in 2008, when the RCMP arrested him at the request of French authorities who accused him of being involved in the 1980 bombing of a Paris synagogue that killed four people and injured more than 40. He has always denied the allegations. On Friday, the French judges gave an expert until Feb. 15, 2019, to examine the handwriting evidence. Mr. Diab’s 2014 extradition to France was ordered based on a handwriting analysis that allegedly linked him to the synagogue bomber. Donald Bayne, Mr. Diab’s lawyer, said this will be the fourth handwriting examination French judges have ordered. “It speaks to something fishy going on behind the scenes, something political about this case," Mr. Bayne said. “There are pressures in France, obviously some of them political, to keep this case going to satisfy some of the public outrage that has been generated." After his arrest in 2008, Mr. Diab was jailed for 4½ months and then released into house arrest. In June, 2011, Ontario Superior Court Justice Robert Maranger ordered Mr. Diab’s extradition – despite calling the evidence against him “weak, convoluted and confusing.” Mr. Diab was removed from Canada on Nov. 14, 2014, after the Supreme Court declined to hear his appeal of his extradition. Newly disclosed Canadian government consular case notes from the time confirm that Peter MacKay, then the justice minister, oversaw the conditions of Mr. Diab’s extradition to France and did not ask officials to give him any special treatment. Mr. MacKay said in an e-mail on Thursday that he could not get into the details of the Diab case, but noted he followed the recommendations of Department of Justice officials. The case notes were obtained by researcher Ken Rubin through the Access to Information Act, with the consent of Mr. Diab and his wife, Rania Tfaily, and provided to The Globe and Mail. Mr. Diab spent three years in a Paris jail – mostly in solitary confinement – before being released in January after two judges dismissed the terrorism charges. His release came after new evidence showed he was in Lebanon writing university exams at the time of the bombing, and confirmed his claim that his passport was stolen and used by someone else. The Liberal government has appointed former Ontario deputy attorney-general Murray Segal to conduct an external review of Mr. Diab’s extradition, but Mr. Diab has boycotted it, saying it does not address shortcomings in Canada’s extradition laws. Mr. Diab on Friday said a full public inquiry is the only way to ensure another Canadian does not fall victim to the country’s extradition laws.